People use different types of soap or face wash to enhance face color. Sometimes, side effects of these products are also seen. But if we use the things present in house to face wash, then there will be neither side effects nor allergic reaction. Honey & Lemon: Mix honey with lemon and cream and make paste. Do face massage. Wash it after 10 minutes. Turmeric & Sandalwood: Mix little turmeric with sandalwood and milk. Massage it on face for 2-3 minutes. Wash your face after 10 minutes. It increases glow of the face. Almond & Milk: Keep 2-3 almonds in milk for overnight. Prepare its paste in the morning and apply it on face. Wash it after 30 minutes. Milk & Banana: Mix ripe banana with little milk and prepare its paste. Apply it on face and wash it after 20 minutes. Rose Water: Mix one teaspoon rose water with milk. Apply it on face before bed. 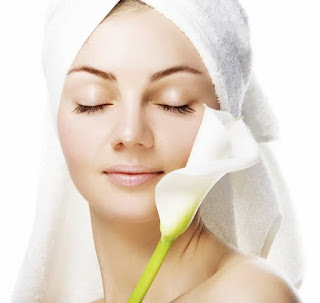 Aloe Vera Gel: Apply one teaspoon aloe vera gel on face. Wash it after 30 minutes. Yogurt & Turmeric: Mix one teaspoon turmeric powder with yogurt and apply on face. Wash your face after 15 minutes. Sugar & Lemon: Mix one teaspoon sugar with half teaspoon lemon juice. Scrub it on face with light hands for 5-10 minutes. Tomato & Lemon: Prepare small tomato paste. Put one lemon juice with half teaspoon besan. Apply it on face for 20 minutes. Lemon & Turmeric: Prepare paste of 3 teaspoon lemon juice with one teaspoon turmeric powder. Apply it on face and wash it after 30 minutes.